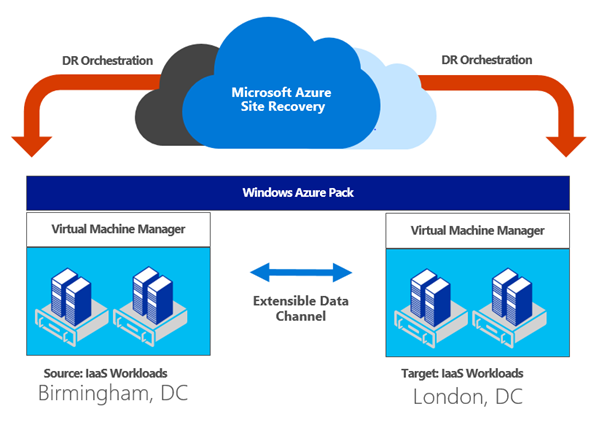 Over the last few months Azure Site Recovery has added many service provider focused capabilities, helping our partners to offer Disaster Recovery as a Service to their customers in a simple, robust and cost effective manner. 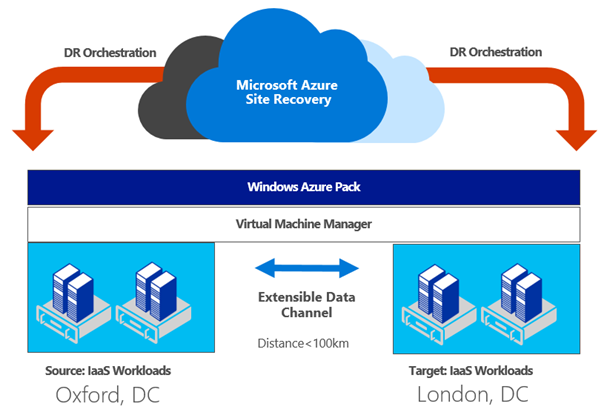 We first announced the integration of ASR with Azure Pack, enabling service providers to provide managed Disaster Recovery for their IaaS workloads, following it up with the support to use Azure as a Disaster Recovery Site for IaaS workloads via Azure Pack. While both these features have received positive responses, there has always been a demand from the service provider community to introduce support for single Azure Pack instance managing both primary and recovery datacenters. With ASR we have always strived to help our partners provide DR solutions, best suited to their environment, and we are happy to extend this offering with two new key capabilities in ASR/WAP integration. Managed DR with a single instance of Azure Pack having separate SCVMM managing the primary and recovery DCs. Managed DR with a single instance of Azure Pack having same SCVMM managing both the primary and recovery DCs. Both features will considerably reduce the overall management cost for service providers when offering DRaaS to their end customers. To enable these capabilities, download the latest ASR runbooks and import them into your WAP environments. For more information on the integration, check out our WAP deployment guide. Getting started with Azure Site Recovery is easy – simply check out the pricing information and sign up for a free Microsoft Azure trial.